With sequels being the fad in the industry right now, it’s no surprise that the 2010 Tamizh Padam, which can be called as the first spoof film in Indian cinema and not just in Kollywood, has come up with a sequel. When speaking with Shiva for an interview, I asked him the reason for a 8-year gap and while he answered it in his usual style, those who see the film would understand the reason. It’s because of the tons of materials we’ve had over the last 8 years that gets to be parodied and Tamizh Padam 2 which released today does that unapologetically without any mercy or reservations. In a line, I’d say TP2 is to Tamil cinema what Ready Player One was for Hollywood. Before you jump the gun, let me tell you where I draw such a comparison from. While the latter film won thanks for banking on the nostalgic values of today’s adults, TP2 does the same — in a much-localised manner. The film is a treasure chest of pop-culture references and I’m using the term ‘pop-culture’ because the references used in TP2 transcend the big screens. Well, for starters, there are references for what we see in small screens. While you might think it’s going to be about the regular mamiyaar-marumagal brawls made infamous by mega-serials, you’re seriously mistaken. We’re speaking about Game of Thrones, because, why not? Not to mention the expected political references such as the three sabathams, as well as Hollywood films such as Terminator, Speed, and Forrest Gump. Compared to the original film, the references are aplenty here and I wouldn’t be surprised if the internet churns out articles pointing them out the actual numbers. But what we actually love the movie for, also doubles as trouble. When the initial rush of understanding the reference saturates, there’s very little to look forward to till the next reference pops up. Of course, the so-called story is just a thin line in hich all these heavy spoofings conduct a balancing act. What I found fascinating with TP2 is that when it works, it brings the roof down with laughter and when it doesn’t, it just falls flat. While the Thevar Magan, Vivegam, Vedhalam and some more spoofs evoke laughter, ones such as Iruthi Suttru, Thupparivaalan, and Neethane En Ponvasantham don’t really hit the mark. It’s either because of repeating the same idea twice which dilutes the humour, or staging a long scene only for it to lead to a funny one-liner that doesn’t justify the actual scene’s run time. But I really enjoyed the little details which make the film even better. Manobala’s emo look (which also looks like Jeff Hardy), Santhanabarathi’s Hippie get-up, tea shop playing an English song and having a board that mentions the price of croissants and Peking duck are just some of the ones I remember from the top of my head. Even in a scene shot in Malaysia though mentioning it as America, before we can even think of the interchanged road lane directions that aren’t maintained, we hear an explanation that it has been changed to Indian style for Shiva’s convenience. Some of the best bits from the first part are also retained in TP2. There’s the background score which almost works, the paati sentiment, and most importantly, scenes that showcase Shiva’s dancing prowess. There’s even a bar song featuring women. On the other end of the spectrum, the long runtime doesn’t really work in favour of the film. Songs are way too many and despite almost another one in the foreign location which is interrupted intentionally, the damage is made by then. While we’re at it, the item number featuring Kasturi (who appeared in an amazing Kuthu Vilakku track in TP), does exactly what it tries to make fun of, an unnecessary song placed at the wrong moment. 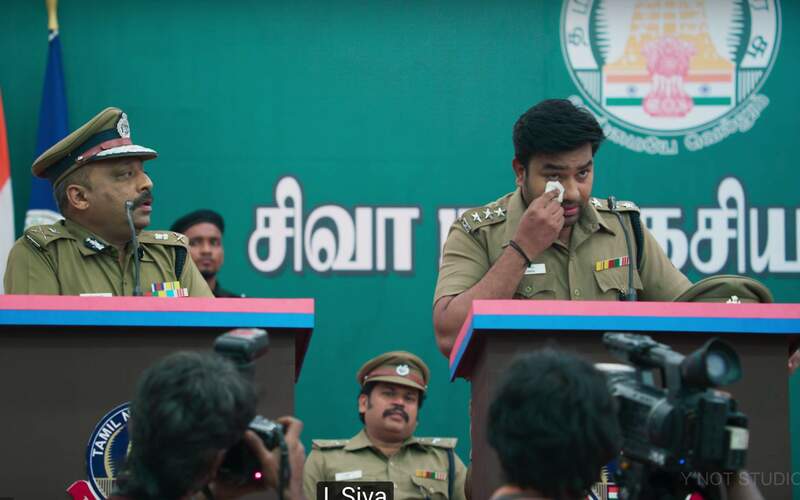 On the whole, Tamizh Padam 2 is a film movie buffs would love to watch just to spot the references and enjoy the parody, but, if seen as a whole film, it leaves you wanting for more.